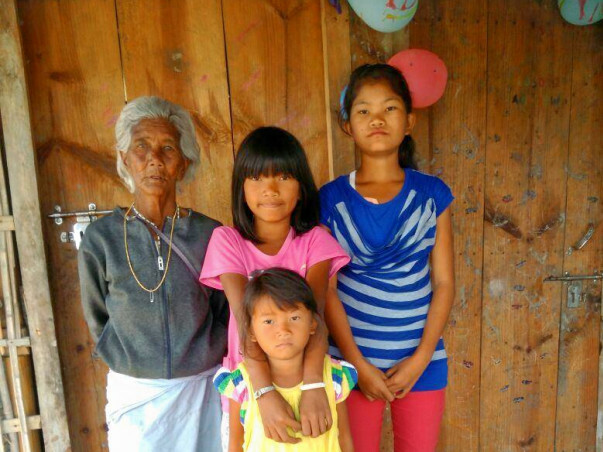 Help grandma Ibempishak who feeds 3 granddaughters by picking rags. Meet Abok Ibempishak from Leimakhong. She is 85 yrs old but has to pick up bottles from streets n sell it to earn a meagre 30-50 Rs. 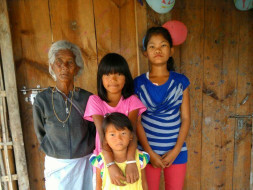 per day to feed her three granddaughters named Roji, Melody n Babynao who are 6yrs,10yrs n 13yrs respectively who were left under her custody after abok's only son died in an accident. We asked if she gets any support from government but I was shocked that she has not been offered any help by any yojanas or programs set up by the government for people under poverty line. It was shocking to see the condition of their latrine which was totally unhygienic and open. When we asked how she fed the three lovely girls when she is sick, she replied with a smile that she doesn't have any answer for that. 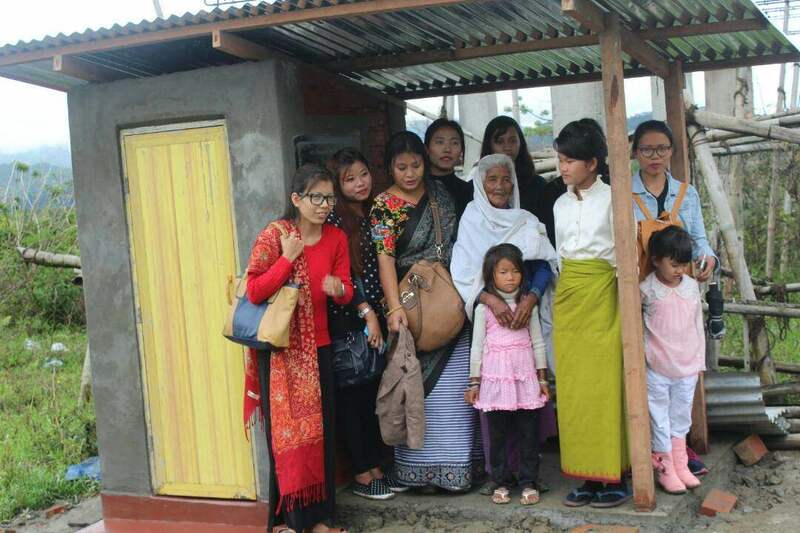 Seeing her plight YOUNG GUARDIANS OF MANIPUR visited her home today with some stuff which can really help her in many ways. We, the privileged one, should help Ibempishak n her granddaughters, we all need to wake up and start helping those who are in dire need of help. If we all do our part, I m sure the world will be a much better place to live. ''WE MAKE A LIVING BY WHAT WE GET, BUT WE GET A LIFE BY WHAT WE GET'' -Winston Churchill. 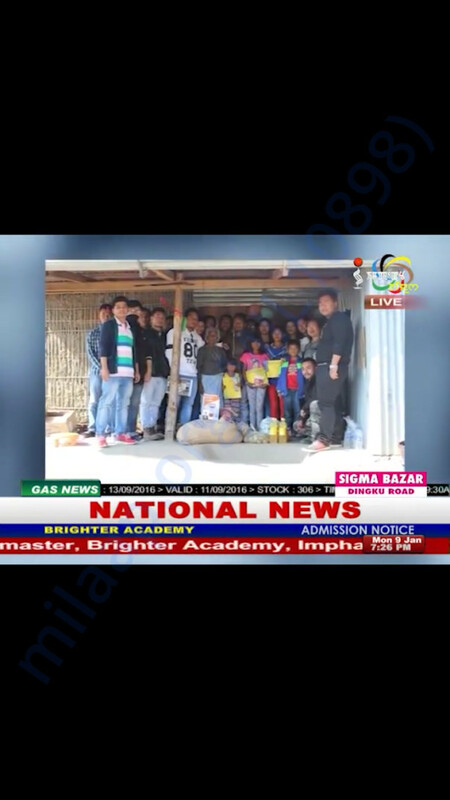 I humbly request good people to kindly donate to Young Guardians of Manipur so that we can continue to support her family and built a latrine for them also. 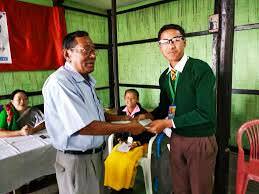 You can check about Young Guardians of Manipur on our Facebook. Let me tell you that we did all from our own pockets even though 90% of our members r students. As a continuation of our project, we have been providing scholarship for students from underprivileged background for 1 year and it is distributed every 3 months. Now, we are planning to fully sponsor a girl for education. We are currently helping many poor families of our state. We don’t have government fundings, everything is managed from the little funds we have. Within 3 days, we are going to help a patient whose both kidneys failed. He is a popular artist. His name is Lilakamal from Kakching. You can read about him on Facebook as well.